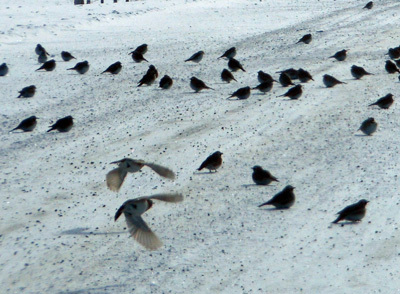 These birds hang around in large flocks near the highway. I took them with my Nikon Coolpix which I always have with me. I will have to try and take a better photo of an individual bird. 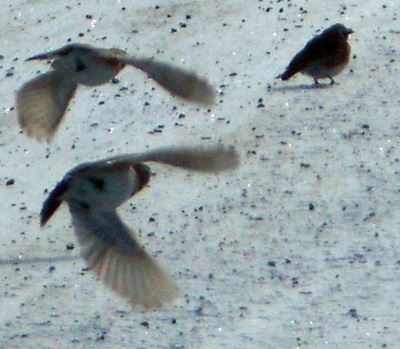 I got help from IBird to identify them.